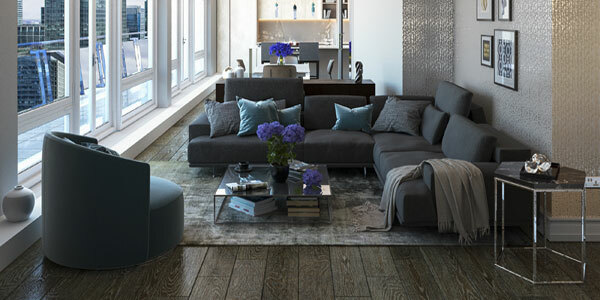 We have been sourcing and designing contemporary sofas in London for more than 30 years and have a beautiful selection of some of the most comfortable modern designer sofas you’ll find anywhere in the UK. 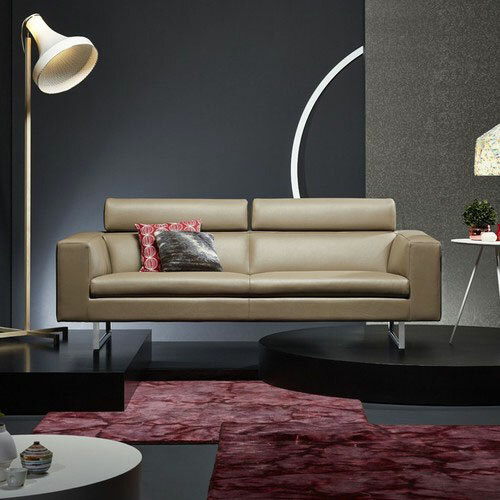 We work with some of the most interesting sofa designers around and display more than 20 quality sofa brands at our NW10 showrooms. When deciding on a new purchase you need to take a few things into consideration. Style, colour, finish, size, cost, durability, comfort,brand, blend and appropriateness. We've compiled a detailed sofa buying guide to help you navigate the various topics relating to buying a new sofa. To get your free copy, just fill in the form below. 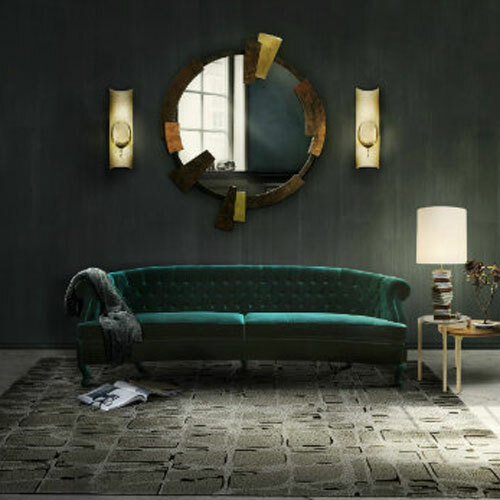 The look of a sofa is obviously all important and there are many styles to choose from. 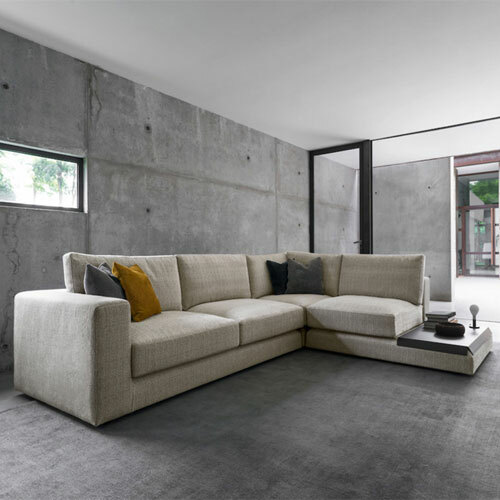 There are some very Germanic, clean line sofas available that are often referred to as cube sofas - they tend to be quite firm but also tend to maintain their shape for many years. They are usually made from complex foam like HR foam. Do not be fooled into thinking that because these sofas contain foam they are in any way inferior. 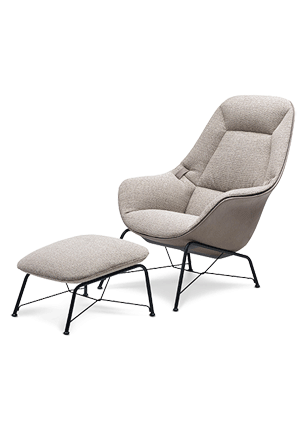 HR foam (High Resilience foam) is engineered to retain its bounce even after years of use and most of the top furniture seating manufacturers in the world use it within their production. It is open cell, flexible polyurethane that has a very random structure which helps to add support and bounces back into shape very quickly. 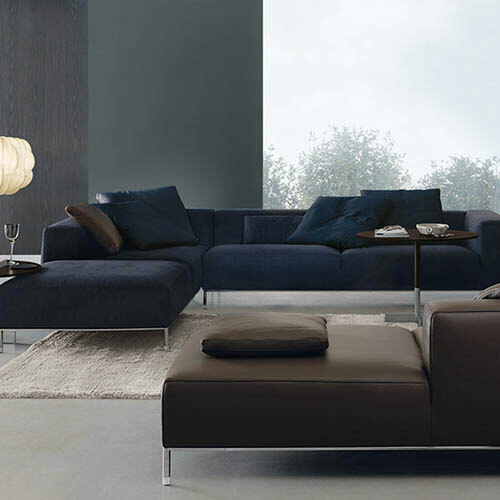 Koinor, Rolf Benz and Leolux all make sofas that fall into the "cube" category and are all definitely worth a look. These sofas are usually made up of different layers of foam and feather or a Dacron wrap. 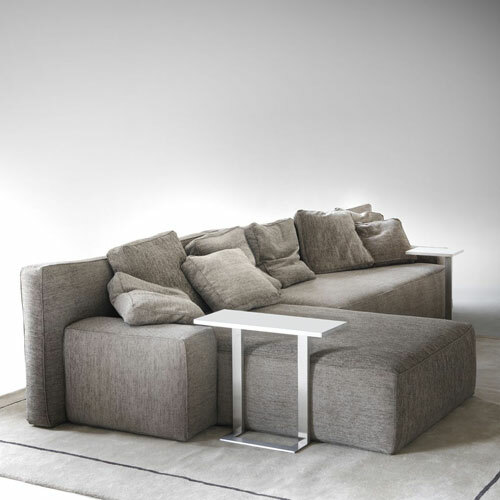 The Dacron wrap helps add to the life of the sofa by adding "loft" to the interior filling. 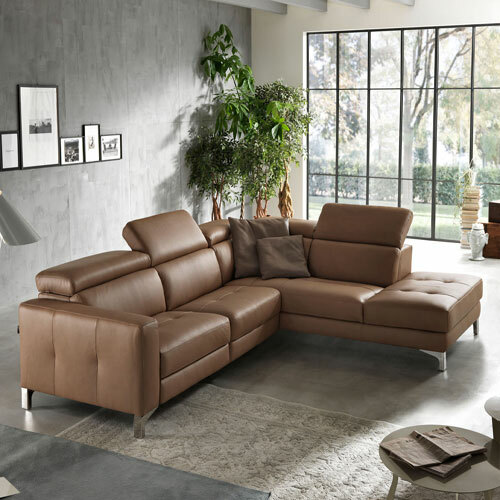 Italian sofas have a style all of their own and look fantastic in both leather and fabric.We offer a great variety of leathers and fabric coverings from some of the world’s best tanneries and fabric suppliers. It is really important to understand the different qualities and types of leather available before you make your purchase. Leather can briefly be broken into the following categories - Full grain, top grain, corrected grain, suede and split grain. Full grain leather is considered to be the best quality leather money can buy but because it is untreated, all the scars and insect bites that the cow has suffered are visible. 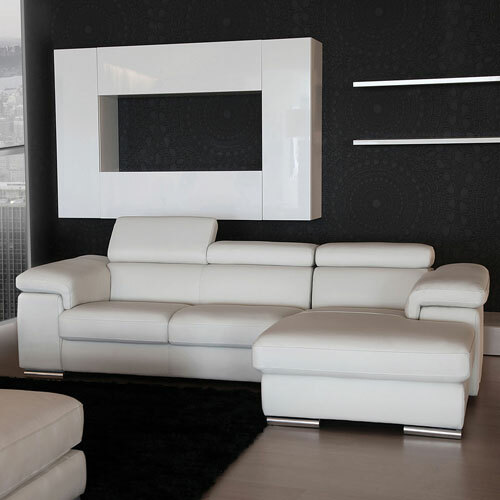 Top grain leather is used by a lot of Italian contemporary sofas brands as it is treated to be more durable. These are the main leather types used by the brands that we present at fci. The leathers are then treated in a number of different ways to produce Full leather, semi aniline leathers or finished leathers. To read more on leather, please fill out the form opposite and we’ll email you a PDF containing more information and some diagrams. In addition to leather sofas we also offer a great range of contemporary fabric sofas in the showroom and on our website. Most of our sofas are available in fabric and if you so chose, you can even provide us with your own fabric to cover the sofa in. We offer a range of microfibers including Alcantara, which are great alternatives to leather or fabric. They are far more durable than traditional fabrics and are somewhat stain resistant (as they are coated in Teflon) and are a great option for clients that don’t want leather but do want durability. It must be said that microfibers are not as durable as leather, which is always the best option if your sofa is going to be highly used. We especially recommend leather if you have young children in the house as spillages are far easier to deal with. You can usually just use a damp cloth to clean most leather sofas when a drink or food spillage occurs. This is also true of microfibers but no so for fabric sofas. We can supply almost any sofa brand in the market, even if it isn’t featured on our website. If you want us to quote you for any brand, please call the showroom and we’ll be happy to improve not only the price but also the service. 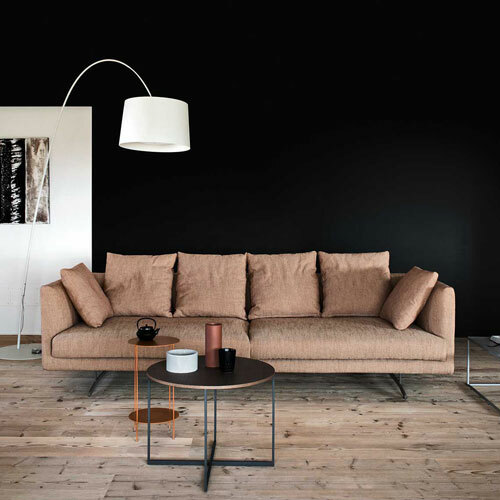 Our favourite contemporary sofa brands are Leolux, Bonaldo, Rolf Benz, Naustro Italia, Kartell, Calligaris, Contempo and Porada. We’ve worked with these brands for many years (some for over 25 years) and know and trust their quality implicitly. When you buy a sofa from us (or any other product for that matter) you are buying our experience and our relationships too. We only work with reputable, responsible brands. And we only stock the very best quality available. It goes without saying that your sofa must be the right size for your room and for your requirements. All our sofas are highly flexible when it comes to size and most are available in modules that allow us to create corner sofas, U - shaped units, L- shaped sofas or any other combination required. It’s really important that you make a quick room plan, even if you are sure of the measurements for the new sofa. Take the measurements in centimetres and be sure to indicate the position of doors, windows, fireplaces and anything else that may impact on the positioning of the sofas. 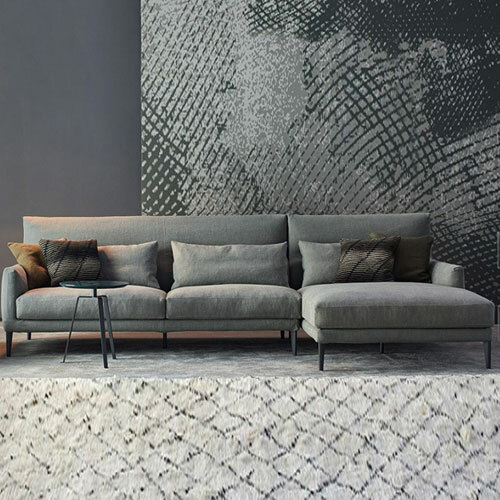 When you come into the showroom with your measurements, one of our design team will be happy to sit with you and work out the best positioning and size for your new sofa. 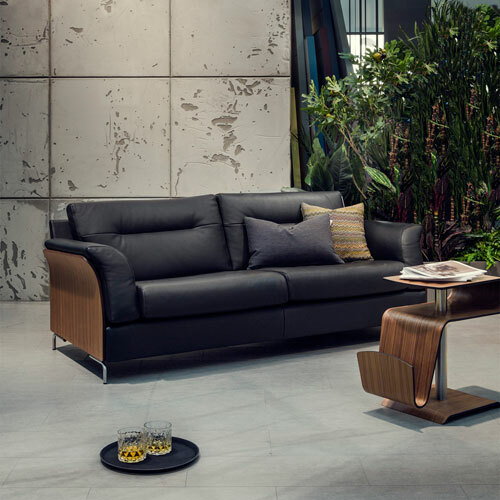 The durability of contemporary sofas is a tricky subject. 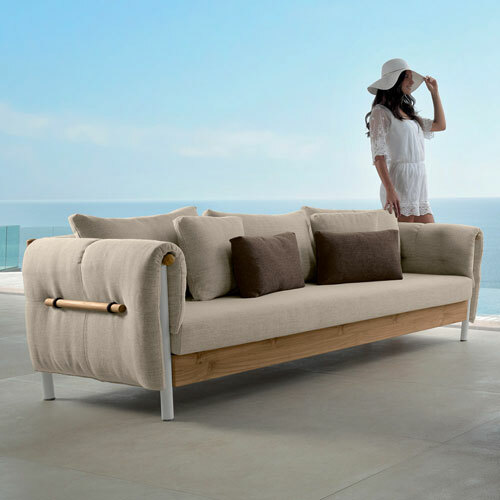 There are so many products on the market and it is sometimes difficult for laypeople to ascertain the quality of a sofa just by looking at it. Of paramount importance is the frame. Find out if the frame is made from a solid hardwood or metal or a mixture of the two. If so, you can be confident that is of a good quality. 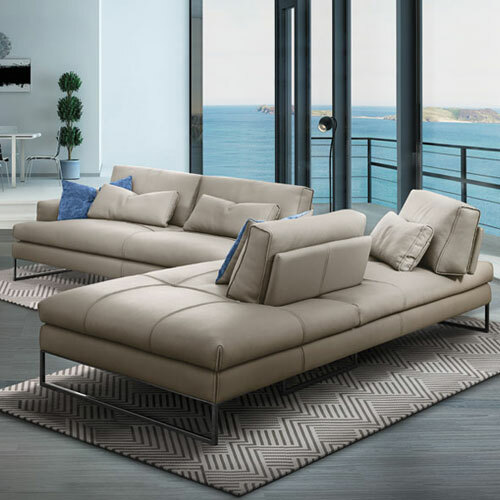 Most of the "leather sofas" found in the UK tend to have plywood & particleboard frames, which are much lower on the quality scale and will not be as durable as well made hardwood framed sofas. Of course how you use the sofa also has a massive impact on the life and look of a sofa. 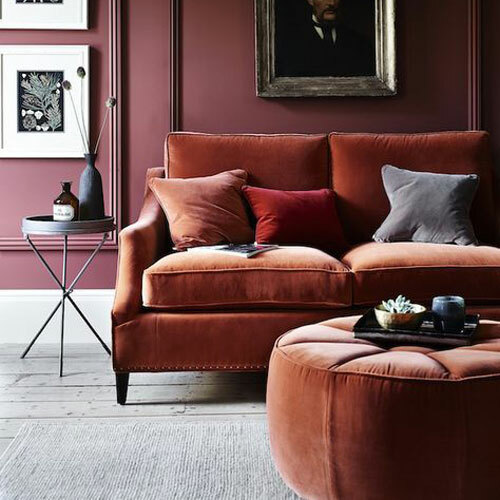 The colour scheme of your room will drive the colour of your sofa. If you’re thinking of redesigning your entire room, please let us talk to you about our interior design service. If not, please take some picture of the room in question before coming in to the showroom. Our interior design team will be more than happy to help you select a colour and finish that will match your existing scheme. If you’re not redecorating your entire room, it is really worthwhile taking as many photos of your room as possible. Take a short video too. When our design team looks at your room, they will not only be able to suggest the best colour and finish but also help you pick a style that will fit in with your existing fittings & furniture. Appropriateness is also something that is sometimes overlooked. If you have young children or are thinking of planning a family soon, try to avoid fabric sofas. Also try to avoid white or very light coloured leathers as they will age very quickly once the kids get on them. If you have elderly people at home, consider going for a slightly higher sofa. Talk to us about your lifestyle and allow us to advise you accordingly. Above all is comfort. 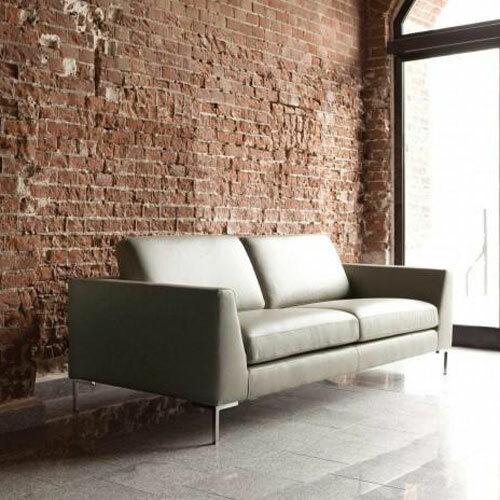 Come into the showroom and test drive some, or preferably all, of our beautiful contemporary sofas. We have a great variety of sofas on display and are sure that you’ll find the perfect sofa at fci.